The midi options dialog from the music options menu is where you define most MID-related stuff. 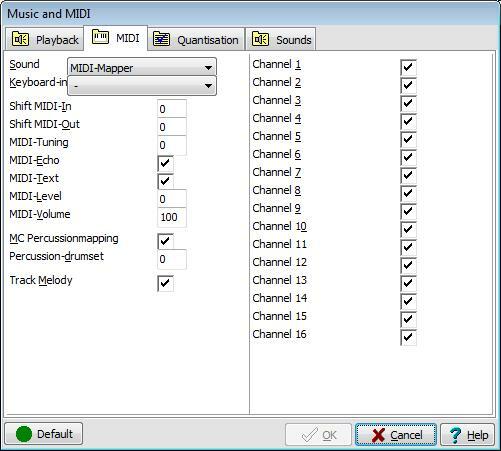 MIDI-mapper: a useful default that will 'map' more than one sound destination as one device. When importing MIDI and for use with an external MIDI-device you may select the midi-channels to use.